Finger lickin’ good – so goes the proud claim of Kentucky Fried Chicken about its core product. With several KFC menu specials to choose from, you will find that, indeed, getting finger lickin’ good meals at affordable prices is possible! But what’s the secret? Choosing among all the combos, promos, and specials can seem overwhelming. For the best value for your money, go for the KFC menu specials in the form of combos and buckets. This is especially true when you are with a large group – the amount of money you will spend on individual orders will be higher than the amount of money spent on combos and bucket meals. So what do these choices include? Combos usually cover several of the items on the menu so that you can enjoy an entrée, a side dish, and a medium-sized drink to wash them all down. 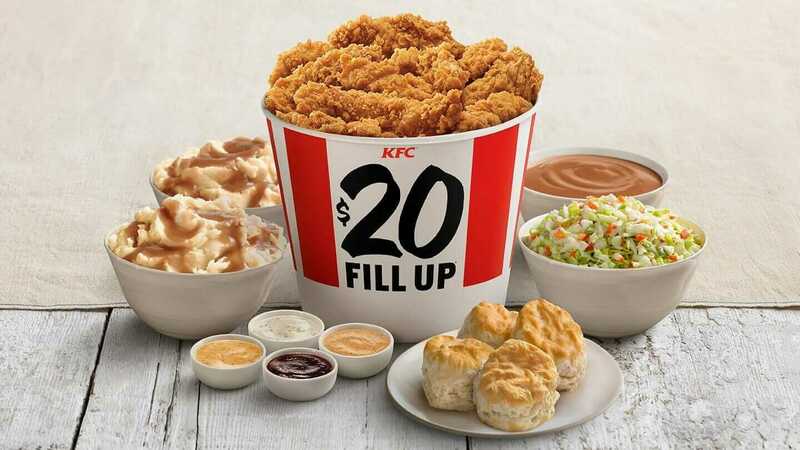 A bucket meal contains fried or grilled chicken in several sizes, including 8-piece, 12-piece, 16-piece, and 20-piece buckets. With each bucket, you will get sides, biscuits, and drinks. If you’re not craving the classic fried chicken, you can order chicken tenders in your bucket meal, as well. Now that you know your options, let’s take a closer look at some of KFC’s top-selling menu specials. And if you haven’t melted over KFC’s popcorn nuggets or Nashville Hot Sandwich combos, we highly encourage you to reconsider your priorities. KFC has always had a leg up on its competitors with its popcorn chicken. The crispy nuggets are offered in a combo meal with wedges and a medium drink. 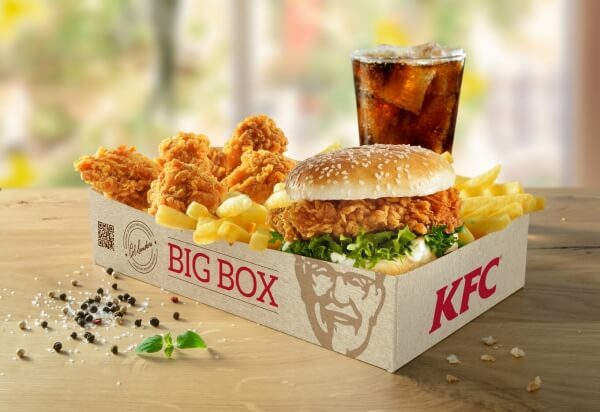 You can also try out this KFC menu special in the form of a Big Box Meal with tenders, chicken, and sides. Visit Music City from the comfort of the drive-through with this KFC menu special. The Nashville Hot Sandwich combo is on fire and is topped with cold, crunchy pickles and mayo. This combo meal comes with wedges and a medium drink. Get all of your favorites with KFC’s Chicken Combo. Start with a breast and a wing, and top it off with fluffy mashed potatoes and gravy, a biscuit, and a medium drink. If you haven’t found what you’re looking for, here are some of the most affordable, delicious KFC menu specials currently being offered. The $5 Fill Up is one of the most popular KFC menu specials, showcasing five fan favorites, sides, and desserts for just five dollars. 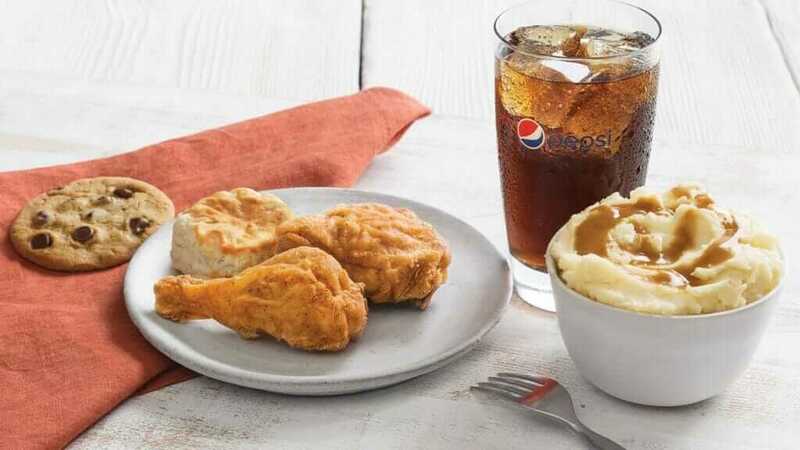 This KFC menu special currently offers a $5 Fill Up with Drumstick & Thigh, Extra Crispy Tenders, Chicken Breast, Famous Bowl, and Pot Pie. For more details on this special – check out our thoughts on the $5 Fill Up. For families or larger groups, try the $20 Fill Up. You and your group will get eight pieces of crispy chicken, a large bowl of coleslaw, mashed potatoes, gravy, and biscuits. So, you don’t want a giant tub of fried chicken? These KFC menu specials aren’t buckets or combos, but we couldn’t leave them out. Combining KFC classics and new fan-favorites, these meals are affordable and filling. Enjoy this KFC menu special as you stroll through the park, drive home from work, or run on the treadmill – it’s made to take on the go. Choose from Chicken Littles®, Popcorn Nuggets, Hot Wings™, or Extra Crispy™ Tenders stuffed in a giant cup with potato wedges. You can share either nine Extra Crispy™ tenders, six pieces of chicken, a lot of Popcorn Nuggets, or twelve Hot Wings. For even more KFC menu specials, check out these menu deals.